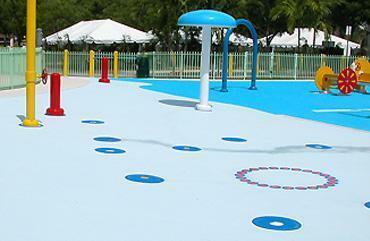 Colorful, durable, watertight swimming pool lining systems. Natatec is a flexible blanket of PVC with a strong inner core of polyester mesh fabric specifically designed for commercial pool applications. Since its introduction, Natatec has become the preferred method of constructing and renovating almost any type of swimming pool. Natatec is custom-fitted and bonded on-site to provide an attractive, easily maintained, 100% watertight and virtually indestructible pool surface. Natatec Pool Lining Membranes dramatically reduce construction and renovation costs, limit maintenance and greatly extend the life span of your pool facility. 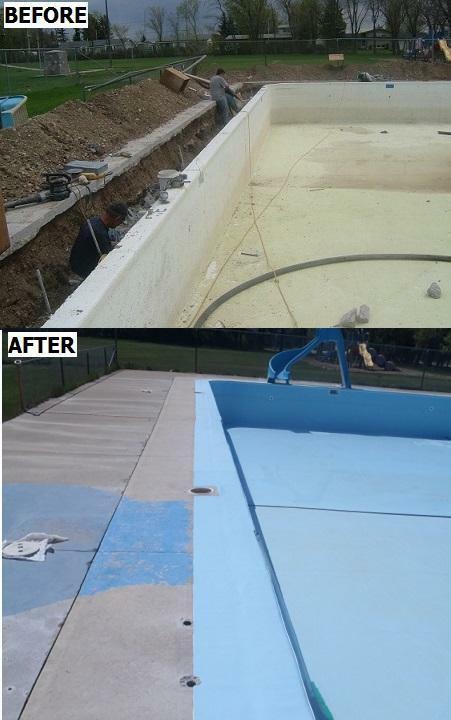 Because the pool walls are used only for support, Natatec provides a means to renovate pools in the worst condition. 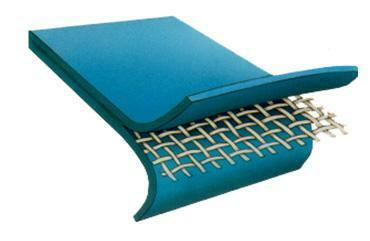 The pool lining membrane spans cracks, joints and other defects with its tough, flexible blanket. Renovating old or out-of-commission pools becomes easy. In new construction, simple and cost-efficient supporting structures are adequate with Natatec pool lining. The Natatec system eliminates costly and time consuming annual surface maintenance. Sandblasting, chipping, patching, caulking and recoating are simply not needed. 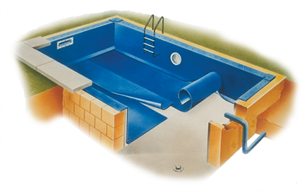 Our membrane provides an attractive, flexible, and watertight pool lining inside virtually any supporting structure. Natatec is the solution for repairing fiberglass failure in swimming pools. Fiberglass pool coatings are notorious for cracking and rapid failure. Removing failing fiberglass material in pools can be an expensive endeavor. For a fraction of the cost, Natatec can be installed directly over the existing fiberglass surface to create a new worry-free surface. The pool lining material is cut-to-fit and welded on-site to ensure a pool coating that is completely watertight, attractive and long-lasting. Our installation system allows for a tailored fit for in-ground, on-ground or elevated swimming pools. Previously difficult installations and renovations are made possible. Unlike conventional coatings, Natatec membranes can be installed in almost any weather. The drastic reduction of downtime for installation, makes it possible to renovate your pool facility in record time. The smooth, non-porous surface of Natatec membranes helps prevent the growth of bacteria and algae and makes pool cleaning easy and inexpensive. With our pool lining system, harsh acid washing and other chemicals are not necessary to clean your pool. The neutral PVC surface does not alter water chemistry like plaster, grout, concrete and other porous surfaces, providing ongoing savings in operational costs. By creating a watertight lining, our membranes reduce water lost through leakage and save energy and chemical use. A Natatec pool lining maintains its attractive, clean appearance while meeting the strictest health standards and lowering operating costs. A one-piece, watertight, flexible lining within the pool shell, our pool lining system is perfectly suited to renovation applications. Virtually any pool, no matter how old or deteriorated, may be successfully renovated with Natatec membranes. Old pool problems including moving expansion joints, cracks, spalling concrete, peeling paint, and even structural movement are solved with Natatec. Our pool lining systems respond especially well to the problems commonly associated with aluminum and other metal pools. Corrosion, pitting, staining, and coating failures are quickly forgotten. Our impervious pool lining isolates the pool structure from damaging pool water. 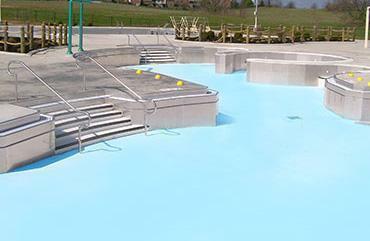 No matter what the structure, the Natatec system provides protection and extends pool life. Create a beautiful pool that has an amazingly long life with Sky Blue, Caribbean Blue and White. A special Black material is available for racing lanes, targets, custom logos and other pool details. Each color can be shaped, cut and custom-designed to fit your special needs. Custom colors and patterns can also be created to meet the unique look of your facility.